PARIS – France is taking bold new steps forward to try and lift the veil of secrecy surrounding tax havens by enforcing strict new reporting rules for financial institutions working offshore. 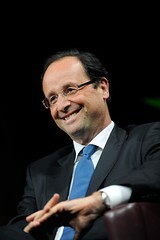 The President announced that in an effort to “eradicate” tax havens in Europe and around the world, from 2015 the government of France will require all French banks to submit a report with details of all subsidiaries and entities which they control abroad, along with an explanation of their business activities, and full set of information on the profits garnered and taxes paid by the entities. François Hollande indicated that the framework of the new reporting system could in the future be extended and implemented in other countries of the EU, and the requirements could eventually be imposed on large multinational corporations. Further, the President revealed that a new government agency will be created and charged with investigating and prosecuting financial crimes, including fraud, tax evasion and corruption.